David Bentley. Hailed as the new David Beckham, the other David B signed for Spurs for £15 million in 2008 but it never really worked out. After his contract ended in 2013 and he’d sat around for a year, apparently not wanted by anyone else, he retired in 2014 at the age of only 29 and moved to Marbella with his young family where he bought into a restaurant (La Sala) and a couple of beach clubs. Rory Allen. An exciting prospect of the Spurs youth system, Rory made his debut in 1996 before being transferred to Portsmouth for £1 million (their record signing at the time) in 1999. After two broken legs and a host of injuries, he resigned and disappeared to watch cricket in Australia before retiring at the tender age of only 25; he then went to work for the Foreign Office. 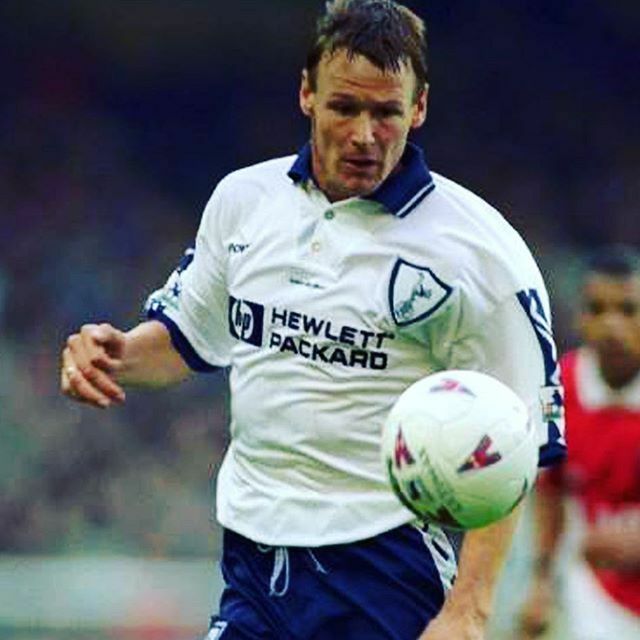 Teddy Sheringham. One of the greatest footballing talents to grace the English fields, and winner of multiple trophies and international caps, he finally retired in 2008 after a 24-year career at the age of 42 with 288 club, and 11 international goals to his name. He then, like many footballers and celebrities, turned to the game of poker – Brazilians, Denilson and Neymar Jr, German, Mario Basler and Spanish star Gerard Pique have all graced the poker tables with some aplomb. But the twice ex-Spurs player didn’t just want to play. As always, he wanted to win. He was good – so good, in fact, that he made the final table in the €5,000 No Limit Hold’em Main Event in the EPT Vilamoura, and, finishing 5th out of 384 players, he won €93,121. Terry Venables. Having played for Spurs from 1965-69 (as well as a few other London clubs) Terry ended up managing most of the same clubs again and then added England and Australia to his CV. But he didn’t stop there. He not only co-authored five novels, he was also credited as the co-creator of the ITV detective series ‘Hazell’. So, player, manager, writer, pundit – wasn’t that enough? No, he moved to Alicante in 2014 and, with his wife, he opened a boutique hotel. Clearly, football is full of some very special and talented people who, even when they’ve stopped playing, are capable of incredible careers.